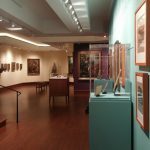 All across our area there are small museums offering a specialized look at some particular slice of the world. 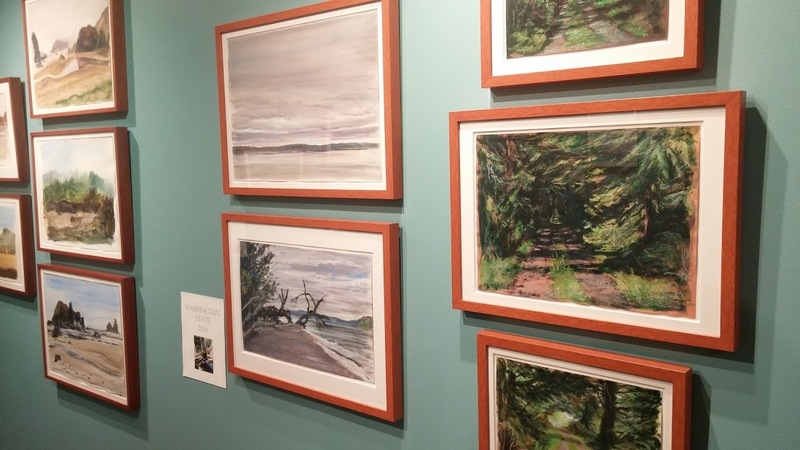 Mostly they are historic houses or municipal museums, but there are also a few tucked-away art institutions worth a visit. We like to tie in a gallery or exhibition visit with a leisurely lunch to make the outing more of an occasion. 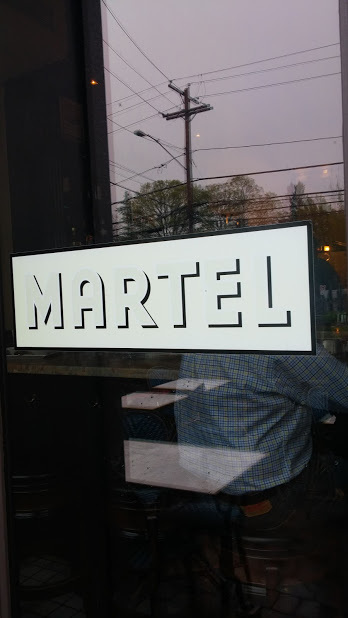 Recently, in a predicted but still surprisingly heavy rain, we sloshed up 95 to Fairfield for lunch at Martel and a visit to the Fairfield University Art Museum. This gem is easy to get to, manageable to visit, and offers a diverse range of fascinating art. 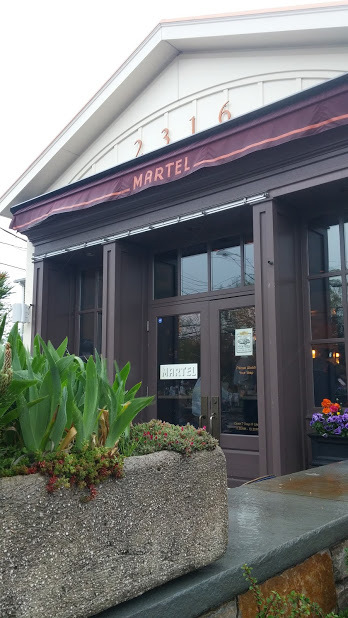 Martel (2316 Post Road) is firmly entrenched as a source of enjoyable French and American cooking only a few minutes from the campus. 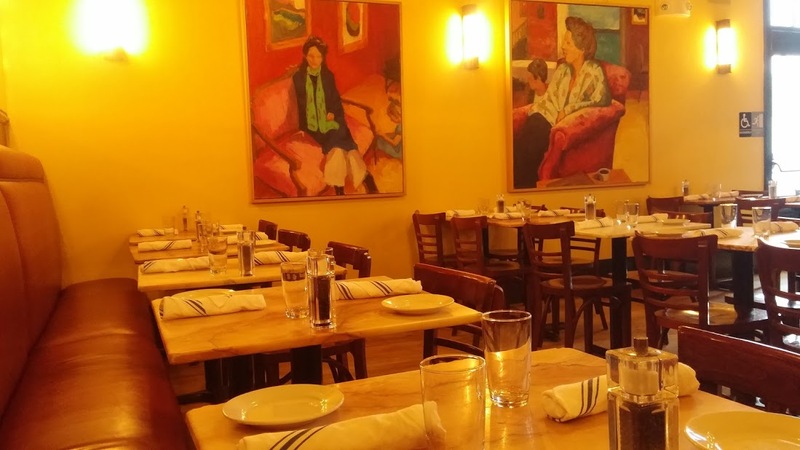 Modeled after Parisian bistros, it’s an outpost of France in Fairfield. 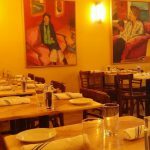 Sunny paintings line the dining room walls, the long banquette has the traditional mirror above, and the bar hosts a cheerful crowd of regulars. Fairfield University has an easily overlooked campus with gorgeous grounds and wonderful cultural assets. The Quick Center for the Arts is a well-known performance venue for music, theater, lectures, and live-in-HD broadcasts. The school’s musical ensembles and sports teams welcome local fans. And the rolling hills of the grounds are beautifully landscaped and enjoyable, even in a spring downpour. 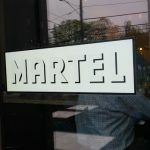 Lunch at Martel was first on the program, beginning with a glass of wine to ease the stress of the wet ride up the thruway. There’s lots of choice for wines by the glass, and not just the usual suspects either. 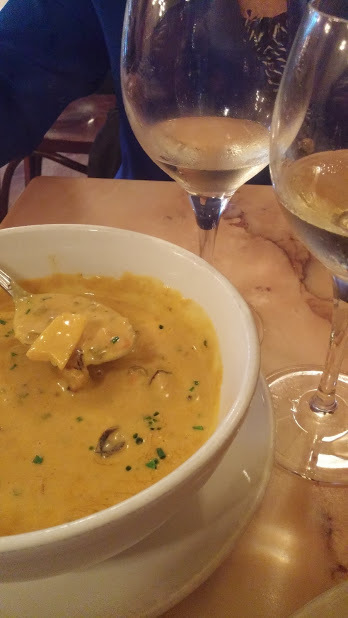 Marsha had a Picpoul de Pinet – fresh and minerally, while I went for Viognier – lush fruit offset by bracing acidity. 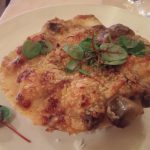 The menu offers a selection of mostly French salads, sandwiches, and entrees but also has “le burger,” lobster roll, Cubano sandwich, and meatloaf – all fairly priced from $10 to $21. 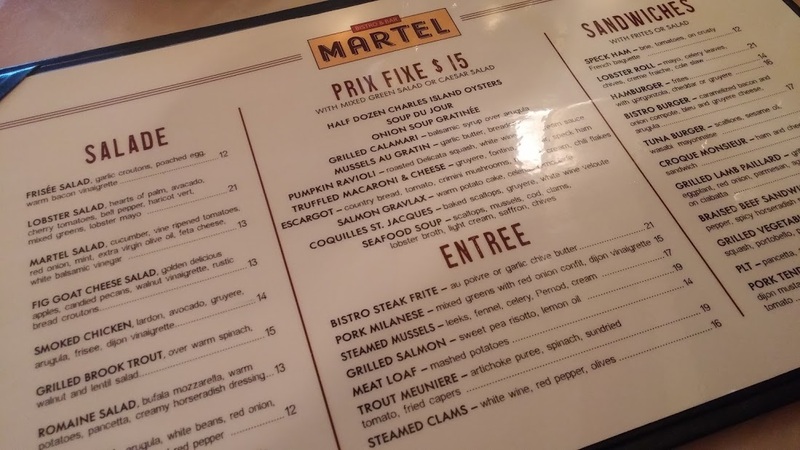 The centerpiece of the menu, though, is that most French of institutions, the Prix Fixe menu. For $15 you get a salad, mixed green with sliced radishes, heirloom tomato, and a classic vinaigrette, or caesar with a creamy dressing and a thin leaf of Parmesan. 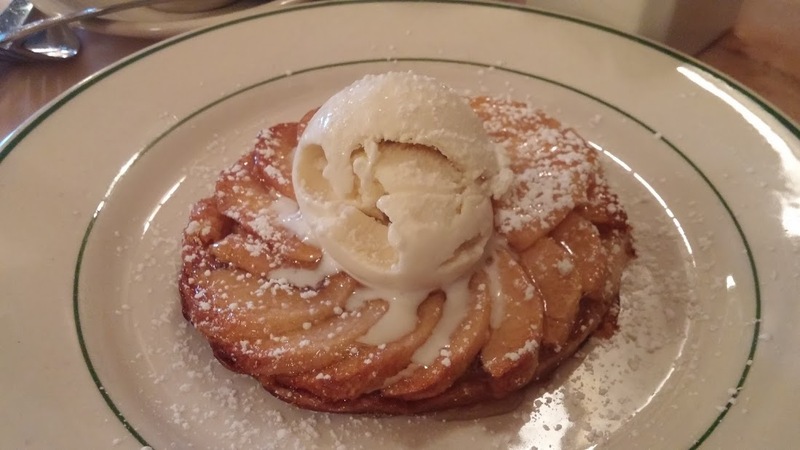 Prix Fixe mains include soup (onion or du jour), mussels, oysters, pumpkin ravioli, mac and cheese, escargot and more. 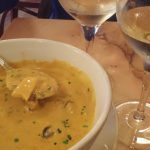 Marsha had the seafood soup, a generous bowl, chunky with mussels, shrimp and fish in flavorful cream. 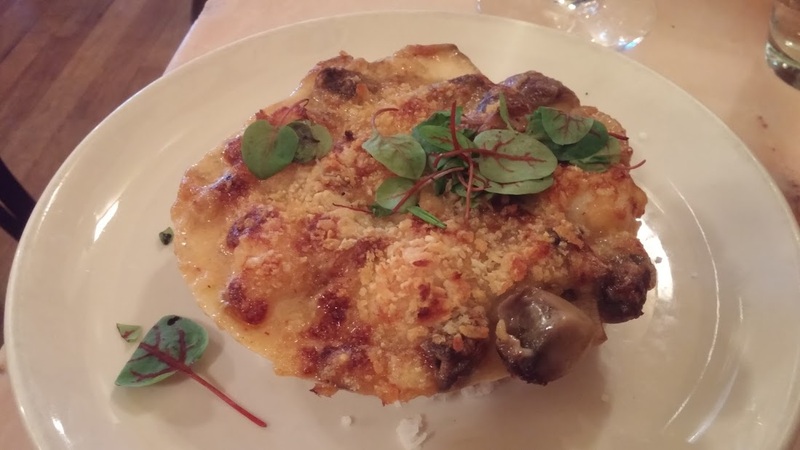 I was tempted by the Coquilles St. Jacques served in the traditional scallop shell – scallops and mushrooms in a rich seafood cream topped with crunchy bread crumbs and gruyère cheese. 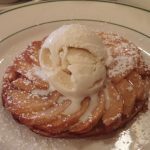 An apple tart with ice cream and coffee seemed a reasonable way to extend our lunch in the hopes that the rain would let up. It did! It was a short drive to the University. 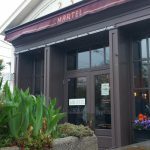 (If you have time, turn left out of Martel and stop on the way at some worth-a-trip food destinations: The Fairfield Cheese Company and Harry’s Liquors on the left, and the Isabelle and Vincent French bakery a little further along on the right). Even in the rain, grounds were stunning with dogwoods at their prime, azaleas just peaking out, and lush green lawns. The museum is in Bellarmine Hall, a stately stone and slate-roofed building on a hilltop, that also houses the University President’s office. 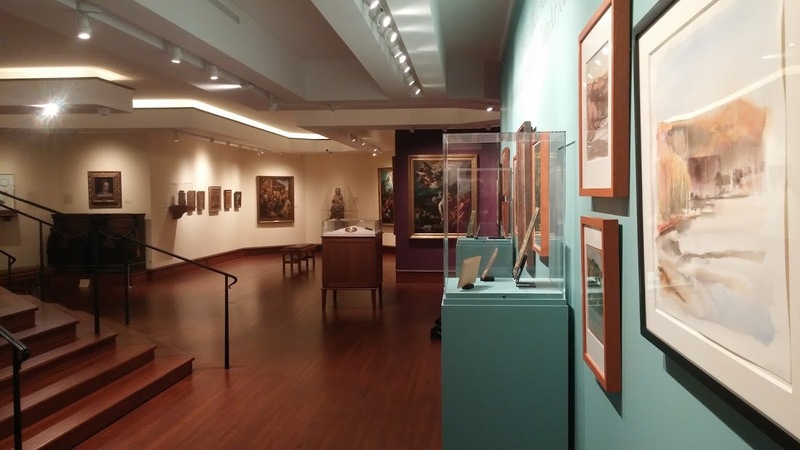 The Museum’s permanent collection includes European and American paintings, drawings, prints, photographs, and medallions as well as a sampling of artifacts from Asia, Africa and Pre-Columbian America. There also seems to be a special relationship with The Metropolitan in New York with many items on loan, including a large group of plaster casts of sculptures from the Acropolis available for close-up study. mechanic who builds cars, Gallagher paints in his free time. 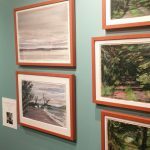 The show includes paintings of nature in the many places he has visited and worked across Europe, the Caribbean, and United States. 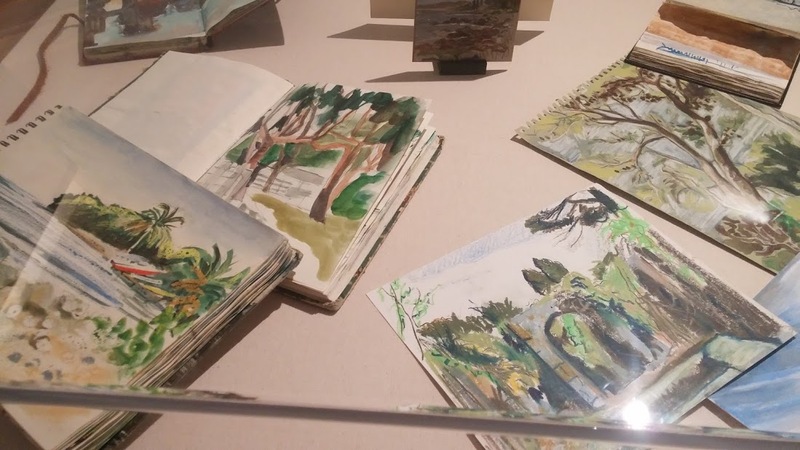 Mostly water color, but some in oil, the pictures vary from substantial to miniature to sketchbook pages – showing dark forests, bright meadows, and inviting beaches. All give a strong sense of place. Wouldn’t I love to be able to sketch out what I see and experience while traveling? It’s a very Victorian idea made obsolete by our handy smartphones. One framed picture of a lane through a tunnel of trees leading to light in the distance was very appropriate for the rainy day outside. 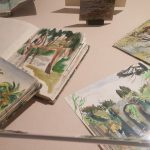 I particularly enjoyed the sketchbooks filled with page after page of evocative images – beaches, ruins, trees, and woods. I can imagine him with a small watercolor box sitting on a log, dashing of a keepsake. We walked around the permanent collection with its paintings spanning the centuries, ancient artifacts, medallions, and asian sculpture, marveling at the diversity of the human artistic spirit. The Museum is just the right size for an after-lunch visit – diverse but not overwhelming. Both the lunch and the museum visit were very satisfying. Both delivered what we hoped for, a peek into another culture, a look into an artistic spirit, and a sense of our place in a wider world. Oh – and full tummies, too!